Working at night on location. Forest examined the authenticity of Dutch wooded landscape. In The Netherlands almost all nature is constructed and designed. 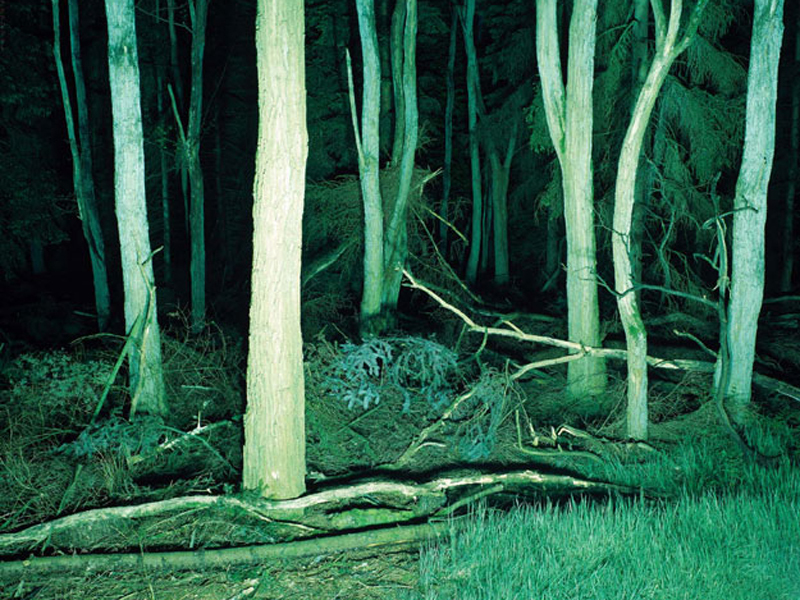 The series consisting of of multiple photographs turned into light boxes and a video work tries to expose the exaggerate interference of the Dutch forestry. 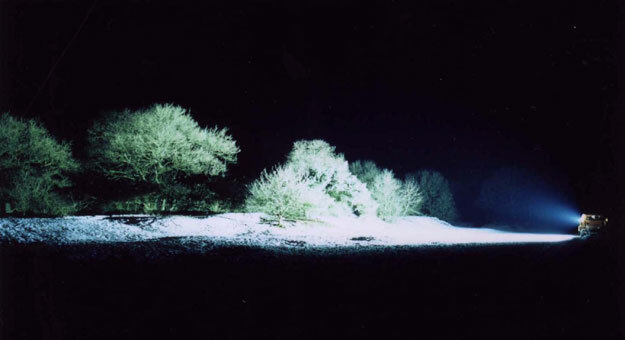 The effect of illuminating pieces of forest at night with creates a sublime appearance of the trees, branches and leaves; because of this the landscape itself seems to become even more artificial and alienating. 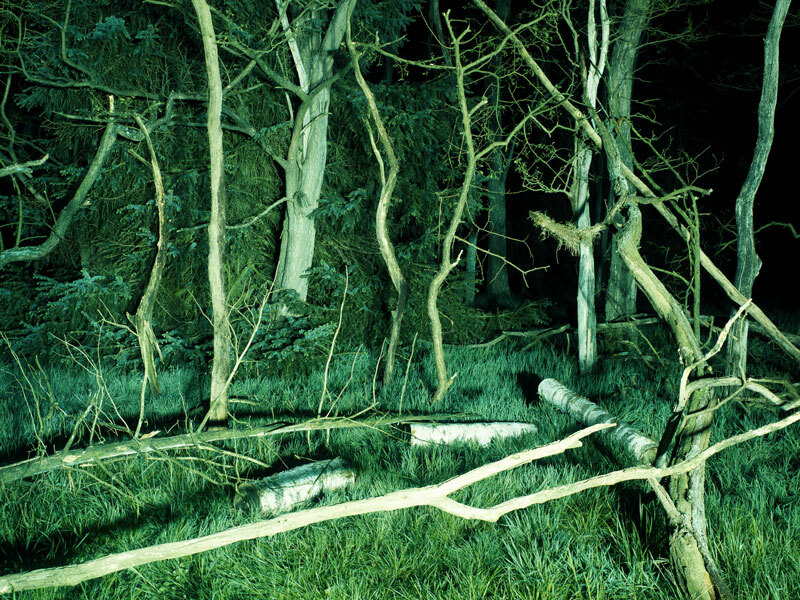 The compositions made in the forest at night were left behind, creating sculptural interventions in the forest.